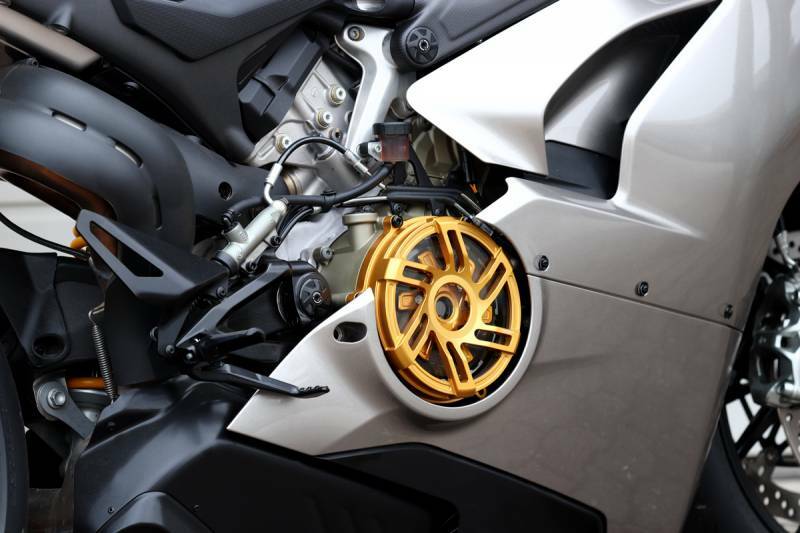 The leading edge of the outer cover will protect the Plexiglas cover from breaking in the event of a fall. Quality German craftsmanship at its best! 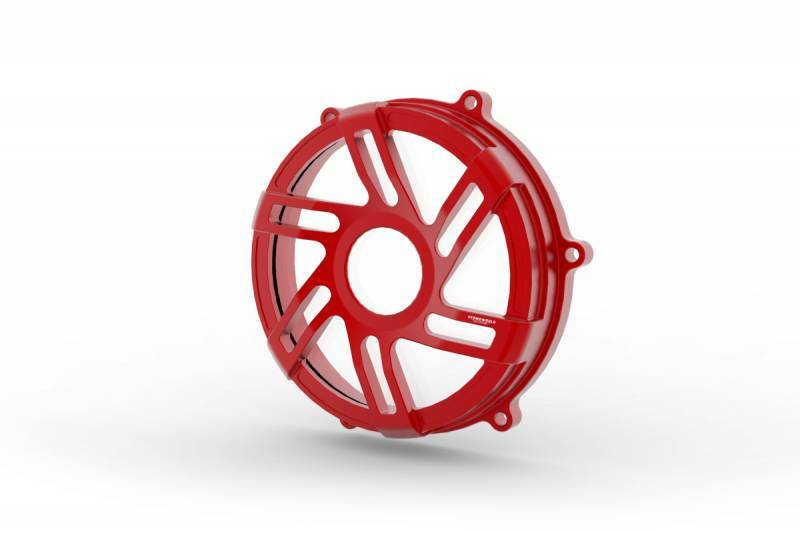 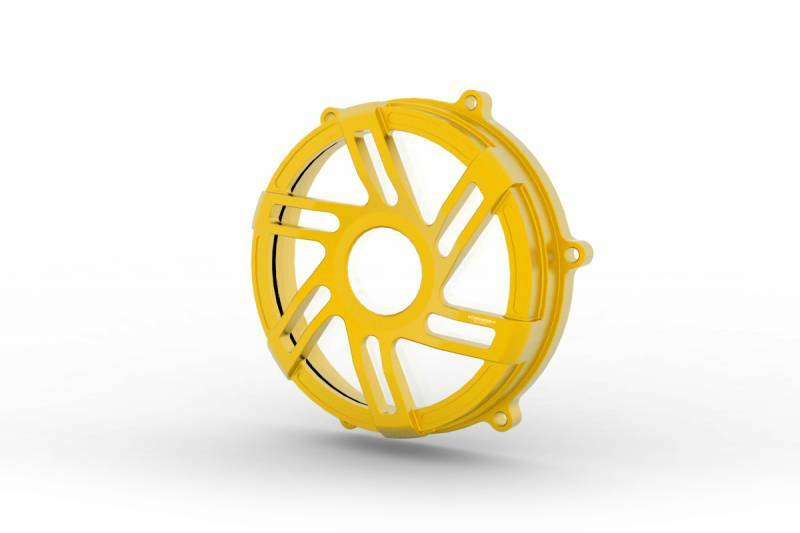 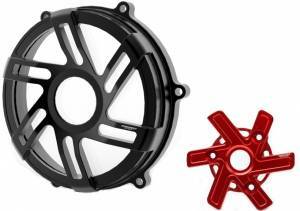 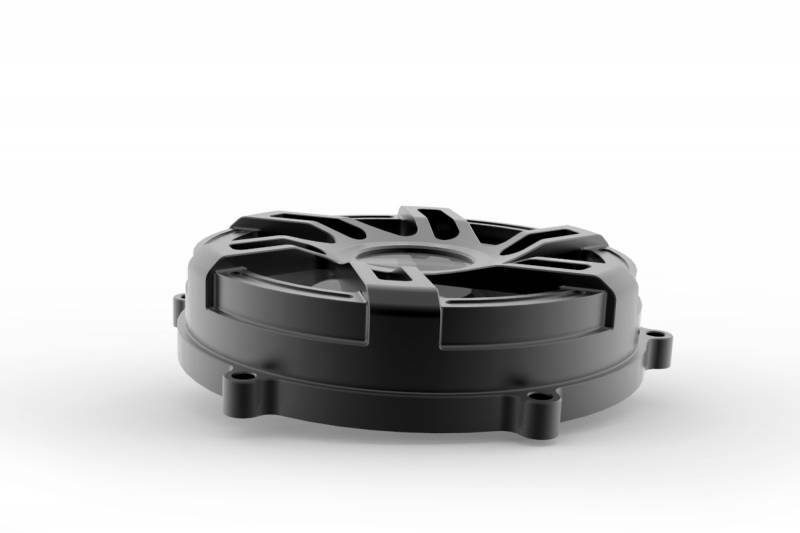 5-Axis manufactured clutch cover with window. 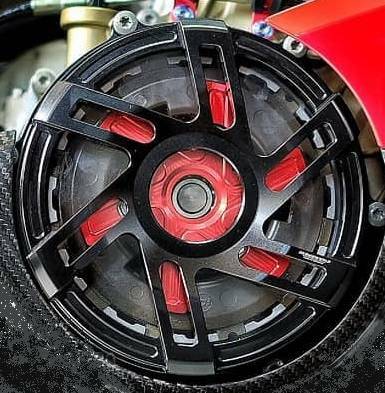 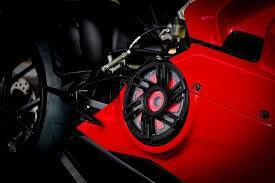 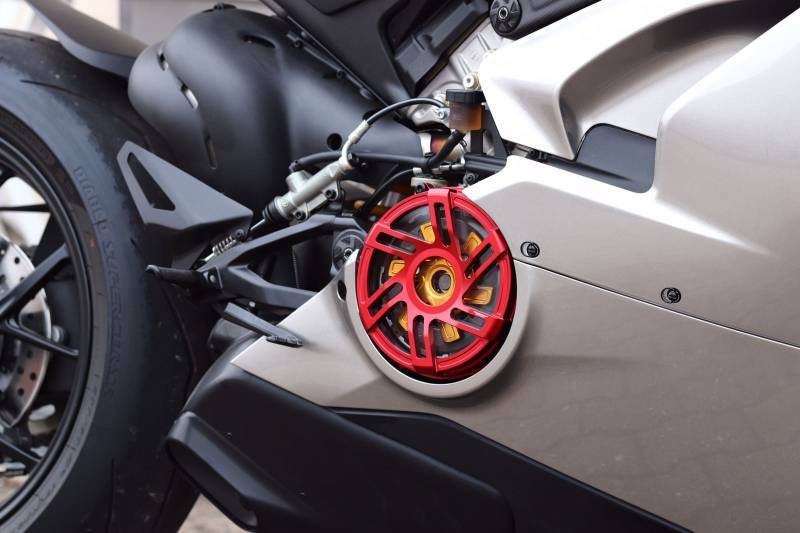 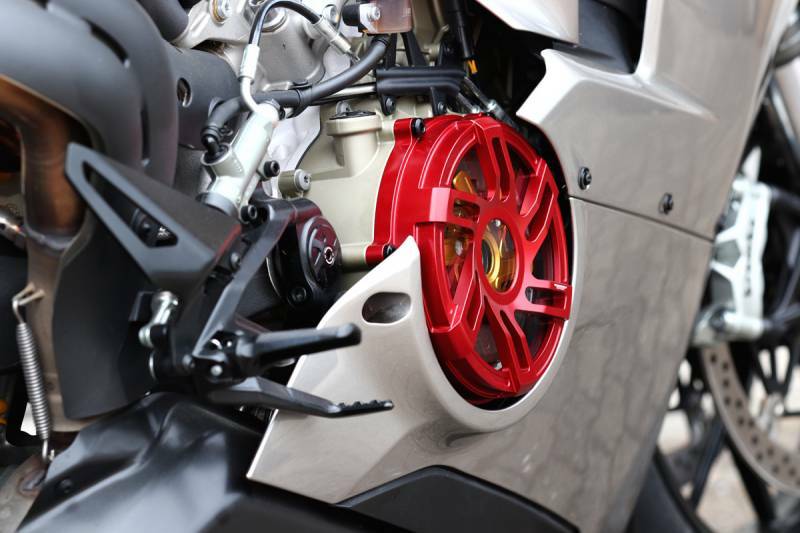 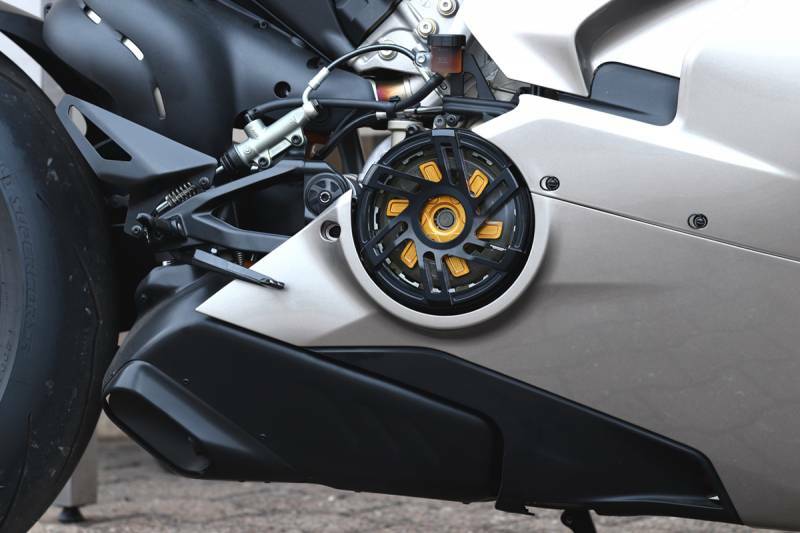 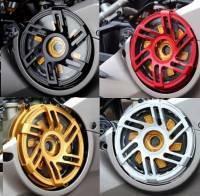 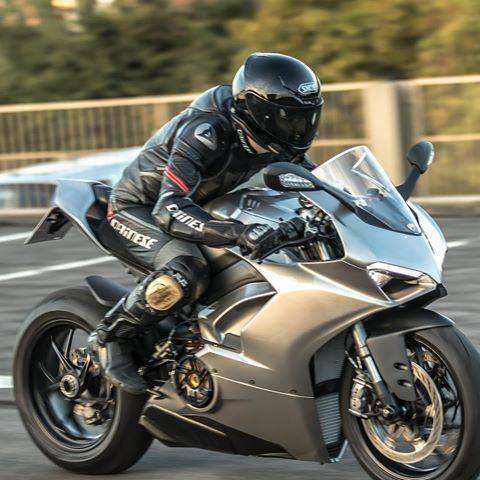 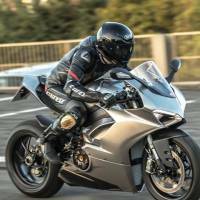 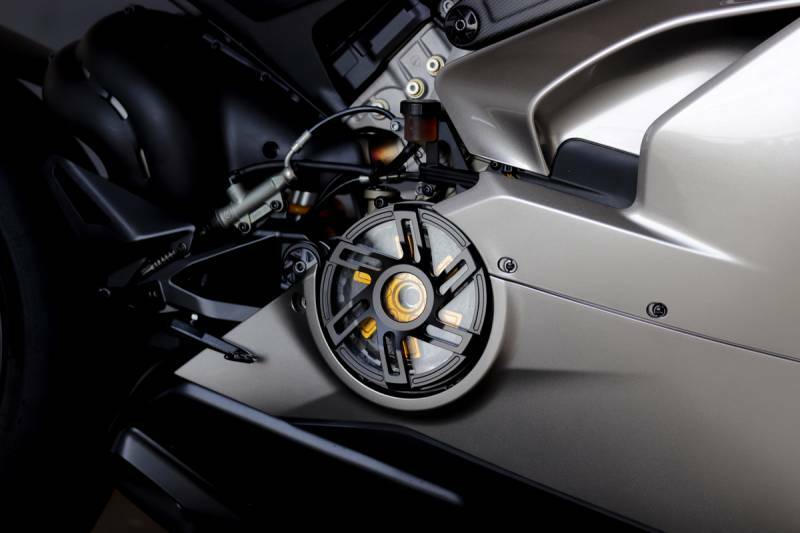 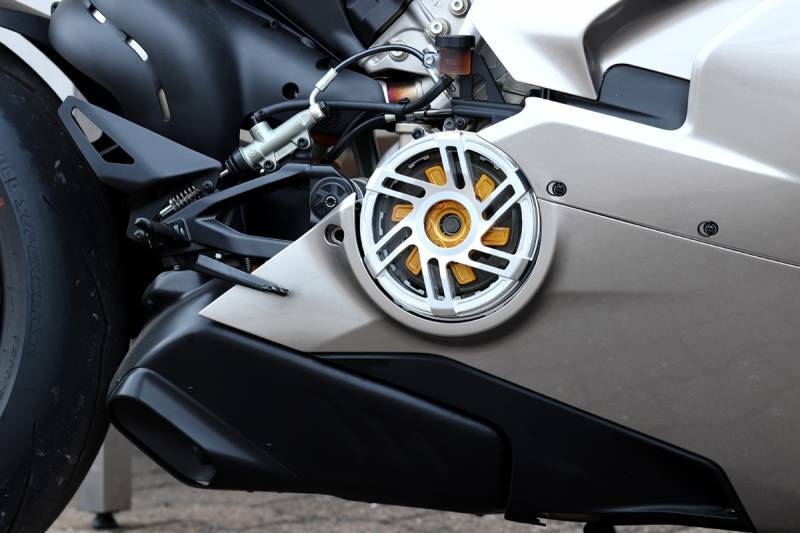 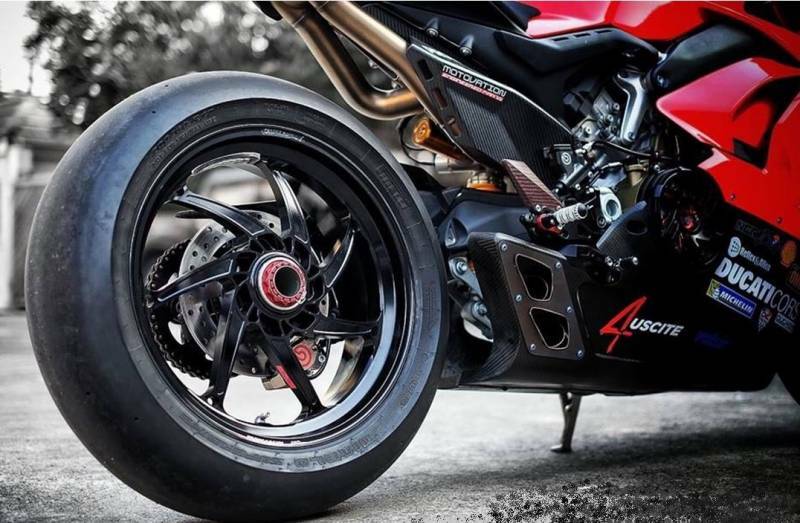 The only Panigale clutch Cover with exclusive spoke design in the world. 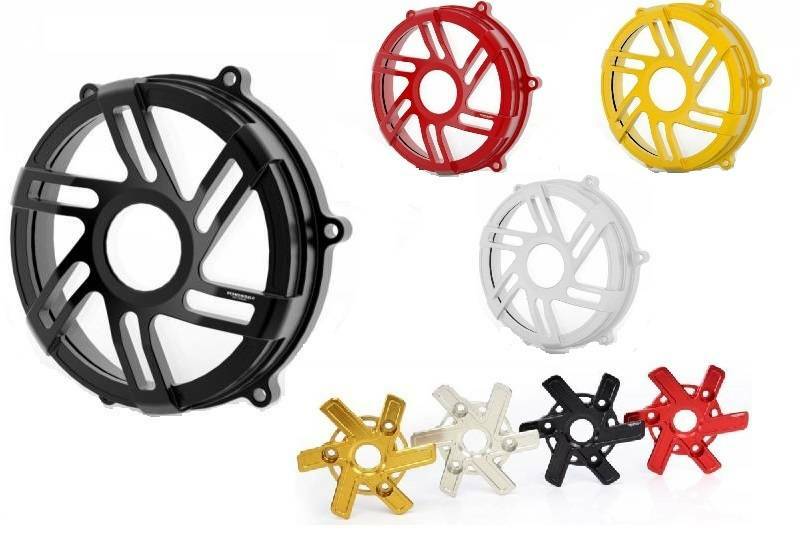 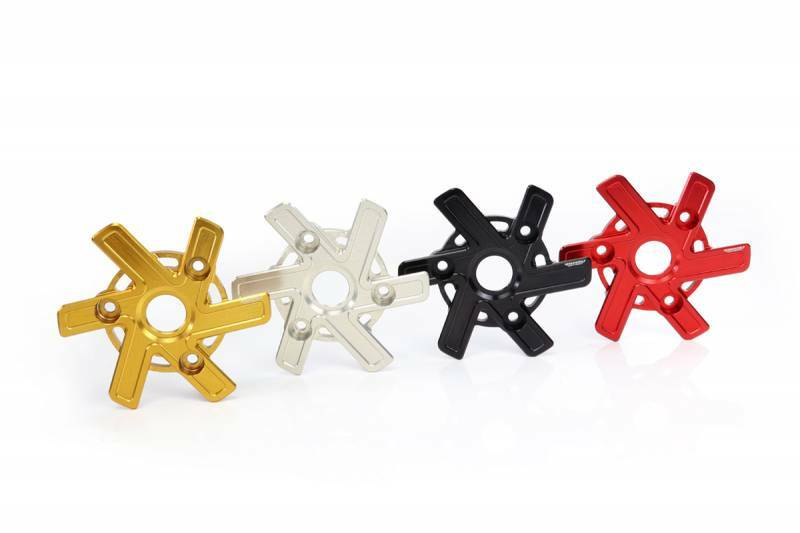 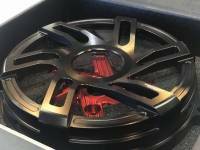 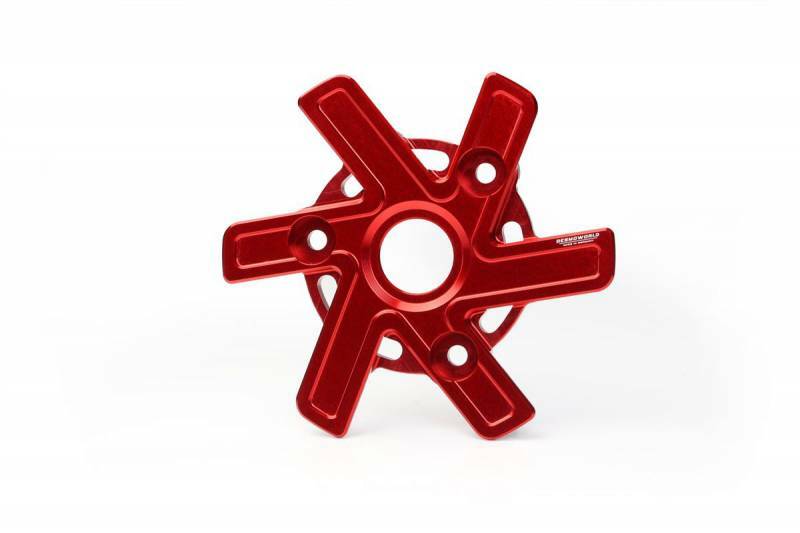 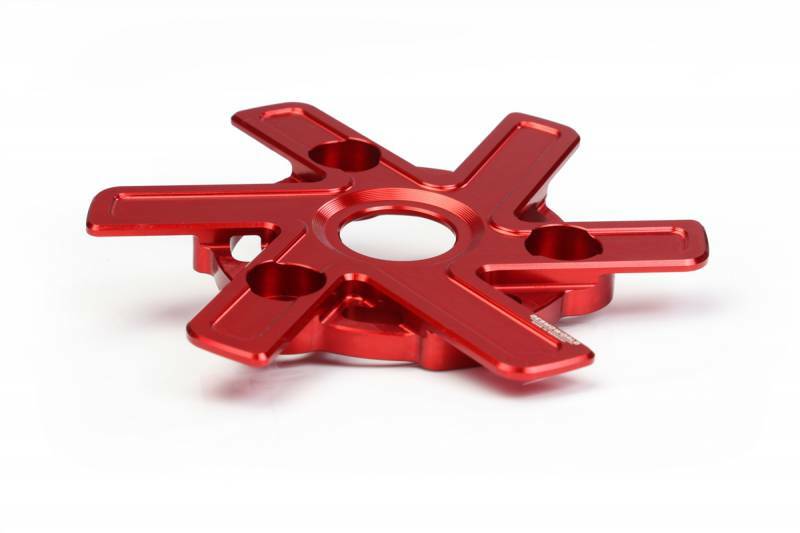 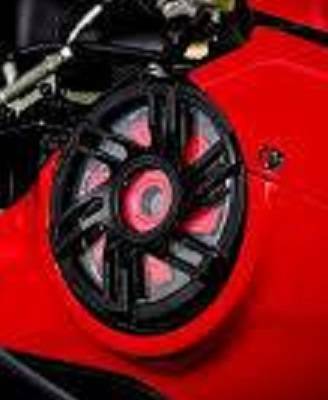 available in Black, Red, Gold or Silver anodized finish. 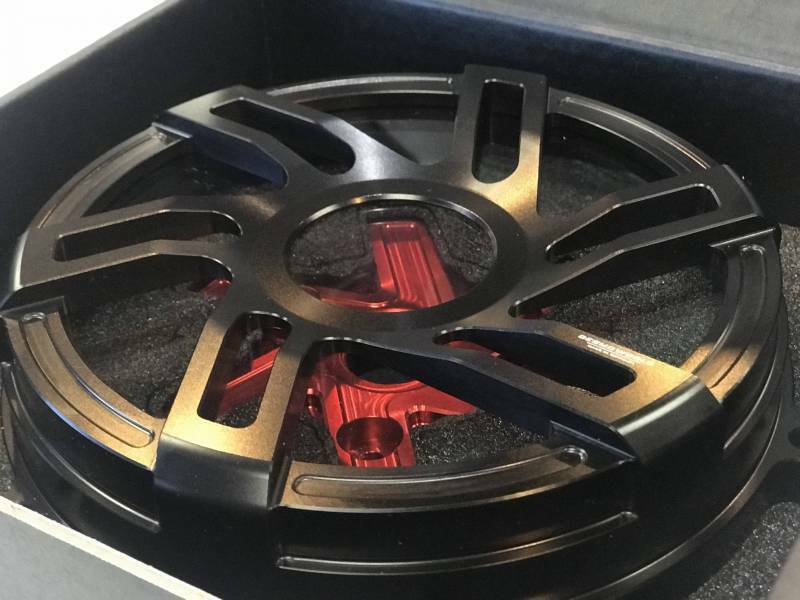 Very subtle Desmoworld laser engraving. 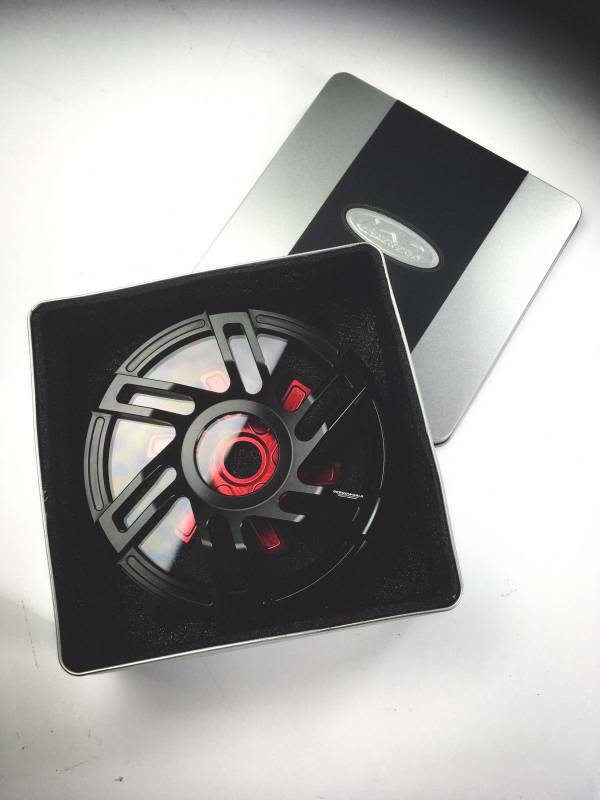 Delivered in embossed Desmoworld container.